"OpenID is an open, decentralized, free framework for user-centric digital identity." 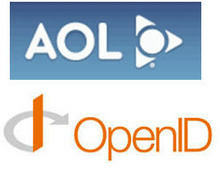 We're working with OpenID relying parties to resolve compatibility issues. We don't yet accept OpenID identities within our products as a relying party, but we're actively working on it. That roll-out is likely to be gradual. Obviously this process did not happen overnight and additional integration work will continue at AOL but nonetheless it is great to see AOL taking a leadership role in helping to solve online identity issues by supporting the OpenID movement.